Sgt. First Class Zachary Baumel went missing in the 1982 First Lebanon War’s battle of Sultan Yacoub, along with two other soldiers whose whereabouts remain unknown. 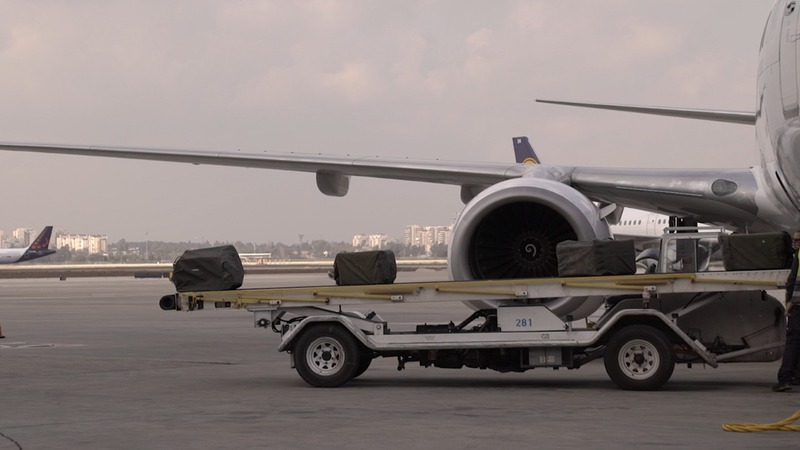 Baumel’s remains were returned to Israel “on an El Al plane” via a third country earlier this week, the spokesman said, without specifying the nation. Though Israeli officials refused to confirm this, the third country was widely believed to be Russia, which said in September that it had helped Israel search for the remains of missing soldiers in Syria. In May, an official from the Popular Front for the Liberation of Palestine-General Command terror group claimed that Islamic State members and other insurgents had excavated the remains of Baumel, Feldman and Katz from a cemetery near the Yarmouk Palestinian refugee camp outside Damascus. The announcement brought to a close a decades-long mission by Baumel’s parents to find their son, who was 21 when he went missing, which included international pressure campaigns and faint hopes that he may have been captured alive during the brutal tank battle. Baumel, a Brooklyn-born American immigrant, was one of three Israeli soldiers whose bodies were never recovered following the battle of Sultan Yacoub, a skirmish between the Israel Defense Forces and Syrian army in Lebanon’s Bekaa valley in which 21 Israeli servicemen were killed and more than 30 were injured. The remains of Feldman and Katz were not recovered in Operation Bittersweet Song. “The IDF has undertaken significant intelligence and operational efforts to find the remains and bring them back,” Conricus said. “Our efforts to locate the other missing-in-action soldiers continue,” he added. 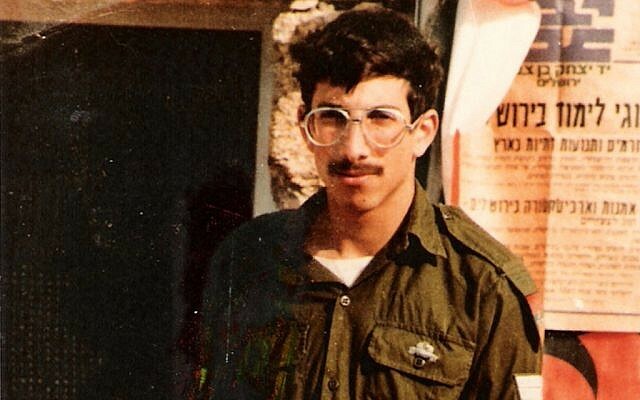 Upon arrival in Israel this week, the remains were first brought to the Abu Kabir Forensic Institute, where they were identified as Baumel. The identity was also verified by IDF Chief Rabbi Eyal Karim, Conricus said. In addition to the body, Baumel’s jumpsuit and boots were retrieved. “I’ll never forget identifying the jumpsuit and boots. We immediately saw that it was an Armored Corps jumpsuit, and we saw the Hebrew writing on the back,” said the commander of Operation Bittersweet Song, who could only be identified by his rank and first Hebrew letter of his name, Col. Aleph. The spokesperson said there were “significant developments in the past year” in the search for Baumel’s remains. In September, the Russian defense ministry said that it had worked with Israel on an operation to locate the remains of fallen IDF soldiers inside territory once held by the Islamic State terror group in Syria. “Israel appealed to Russia with a request for help finding the remains of Israeli servicemen located at specific coordinates in Syria. 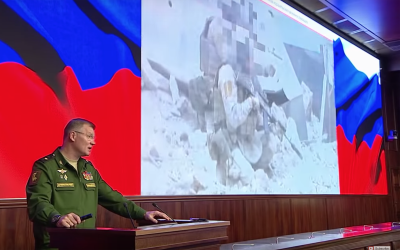 The search was organized after Russia agreed to the operation with our Syrian partners,” said Russian defense ministry spokesman Maj. Gen. Igor Konashenkov. Konashenkov offered the search operation as an example for the ways that Russia has helped Israel since it moved large numbers of troops into Syria in late 2015. “This special search operation was conducted in a combat area controlled by ISIS,” he said, using an acronym for the Islamic State terror group. “Terrorists suddenly attacked the Russian servicemen involved in the operation. One Russian officer was wounded. Despite that, Russia was willing to carry on with the operation,” Konashenkov said. Baumel was born in Brooklyn on November 17, 1960, the youngest son of Yona and Miriam Baumel. His family moved to Israel in 1970. At the age of 18, the basketball-loving Baumel joined the IDF Armored Corps through the hesder program, which combines military service with Jewish study. He was learning in the Har Etzion yeshiva in the West Bank, nearing the end of this program, when he was called back into active army service with the outbreak of the 1982 First Lebanon War, a military campaigned aimed at driving out Palestinian terrorist groups from southern Lebanon, which later saw Israel occupying large swaths of the country. On June 10, 1982, his unit was sent into Sultan Yacoub to set up roadblocks in the area. The next morning, they encountered the Syrian military’s 1st Armored Division, and a bloody battle ensued. By the end of the fighting, 20 Israeli soldiers were killed and more than 30 injured. Baumel, Feldman and Katz were officially declared missing, and two other soldiers were taken captive and later returned to Israel in a prisoner exchange. One of the unit’s tanks was also captured by Syrian forces and brought back to the country as a trophy. In 2016, it was returned to Israel by Russia. According to the IDF, the remains of Baumel, Feldman and Katz were believed to be in the control of the Palestine Liberation Organization in Syria. In 1993, half of Baumel’s dogtag was passed along to then-prime minister Yitzhak Rabin by PLO leader Yassar Arafat, giving Israeli Military Intelligence the evidence necessary to determine where Baumel’s remains were located in Syria. “This process would never have happened without the true cooperation over many years of figures in the Israeli intelligence community and the IDF. It comes from an understanding of the importance of our mission and the deep dedication of the IDF and the State of Israel to returning its soldiers from the field of battle,” said Lt. Col. Avi Kalo, the head of Military Intelligence’s missing persons unit.